Creamy oven roasted aubergine blends perfectly with the complexity of pickled lemons in this vegan aubergine risotto recipe. 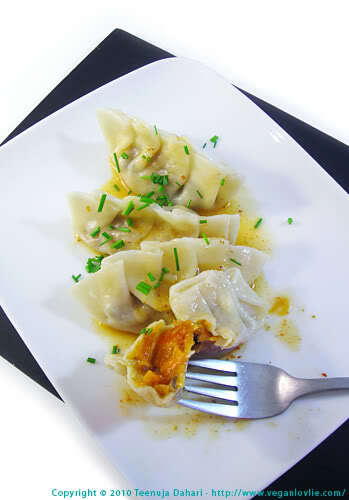 What could be nicer than some good comfort food to warm you up from the inside out! 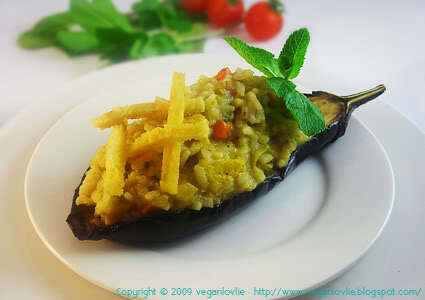 The picture above is aubergine risotto served on half a baked aubergine. I think this has been the easiest challenge so far. I have made risotto a number of times with whatever I have on hand. This time it was aubergine and tofu, with a few other bits of vegetables. One of the requirements of this challenge was to make our own broth. Making vegetable broth is so easy. So easy that I don’t think we need a recipe for this! I just put 2 carrots, a handful of Brussels sprouts, 1 tomato, a few mint leaves, salt and pepper in a big pot of water. Bring to boil then simmer for an hour and strain. Some recipes say to simmer for 3 hours. But I did not have 3 hours, so 1 hour worked fine for me! And I used the vegetables in the risotto afterward. The preserved lemons from the previous challenge were perfect to use in this aubergine risotto and the addition of mint leaves worked very well together with some vegan cream cheese. I also did not use any wine in my risotto. I substituted with applesauce instead. Aubergine Risotto served on Baked Aubergine – Creamy oven roasted aubergine blends perfectly with the complexity of pickled lemons in this vegan aubergine risotto recipe. Preheat oven at 180 degrees Celsius (350F). Wash and cut aubergines in half lengthwise (do not peel). Spray with some oil and place on a baking tray in the oven. On the bottom shelf of the oven, place another tray of water to create some steam so that the aubergines do not dry out. Cook for 15 – 20 minutes or until aubergines are soft inside. Careful not to burn them. Carve out some of the flesh with a small knife. Keep aside. 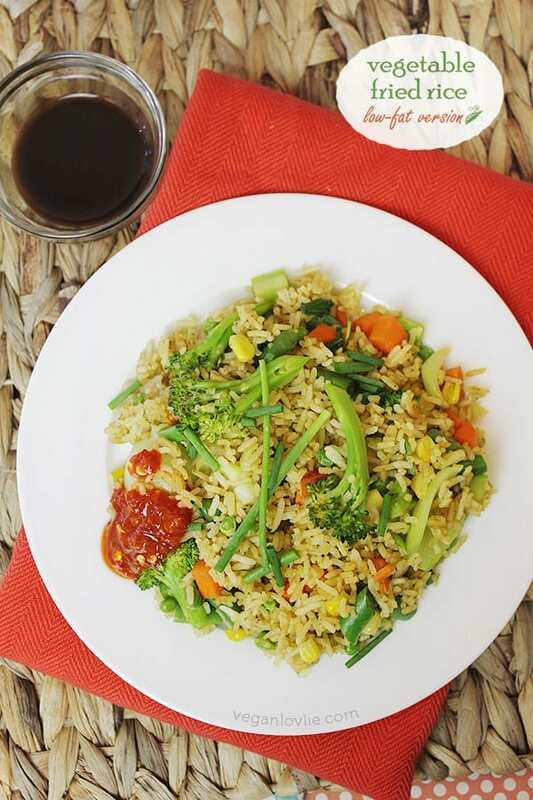 While aubergines are baking, you can prepare the risotto rice. Rinse rice to clean it. Place oil in a non-stick pan. Add rice. Stir to coat every grain with the oil. Add applesauce and a little water. Cook for a few minutes. Then add vegetable broth and cook for about 20 minutes or until rice is well cooked. Occasionally add water if required. Add the aubergine flesh when the rice is nearly cooked. Add in the chopped vegetables from the broth. Lastly add preserved lemons, mint leaves, cream cheese and turmeric. Stir and mix well, cook for a few more minutes. Risotto should be oozy not sticky, so leave enough liquid in. It will be easier for reheating afterward as well. Coat tofu slices with a dash or two of turmeric powder, shallow fry until crispy. Sprinkle with salt to taste. Arrange rice on aubergines. 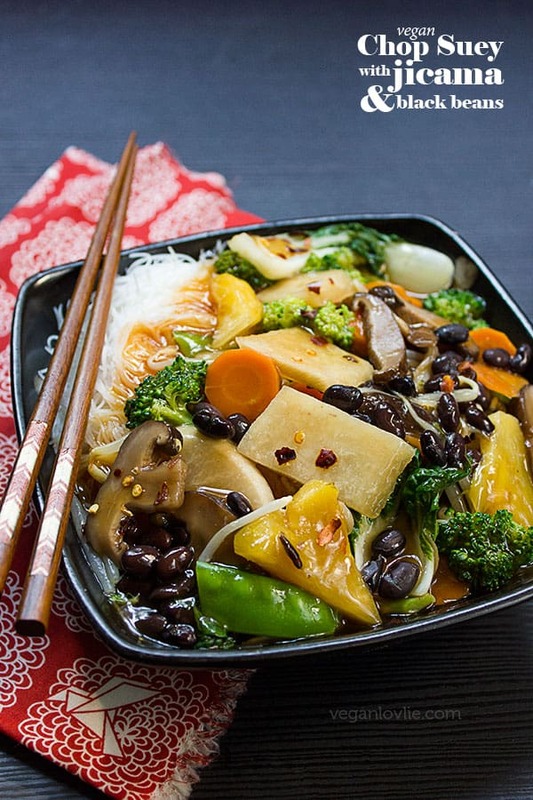 Garnish with mint leaves and the crispy tofu strips. Bon appetit!